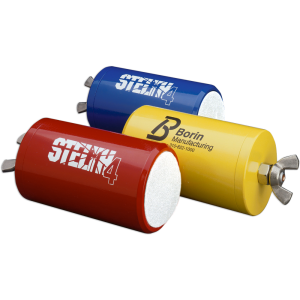 As with the slimmer STELTH 3 portable, the STELTH 4 Fat Cat is built with a wing nut instead of a wire, making it ideal for use above ground or with Miller Electrode Extensions. The STELTH 4 Fat Cat also has a convenient flat ceramic plug shape so that you can stand it up on its end for easy readings. Portable with wide sensing area for soil or concrete surfaces in any chloride environment. Portable with wide sensing area for soil or concrete surfaces in low chloride environments (can tolerate chloride plus bromide levels up to 1,000 ppm). 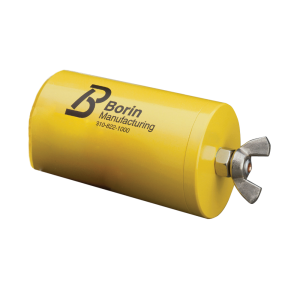 Portable with wide sensing area for soil or concrete surfaces in seawater/chloride environments (with chloride plus bromide levels in excess of 1,000 ppm but less than 19,000 ppm).